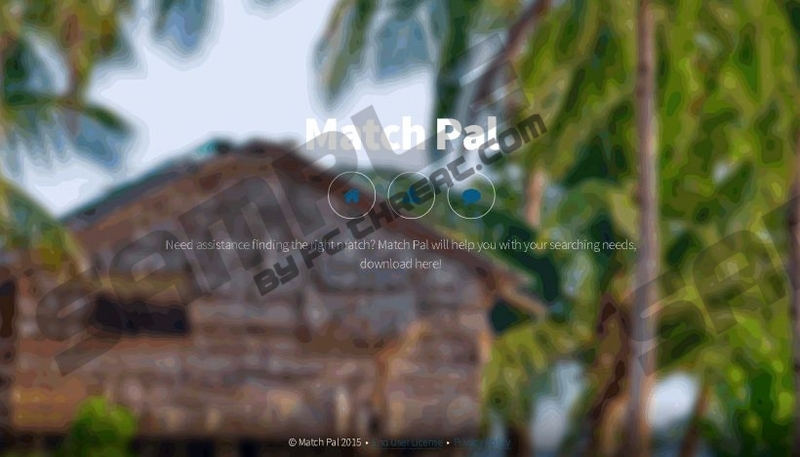 Match Pal is a program that claims to be able to help users “with their searching needs”. It might seem that this software itself is harmless; however, it has been found out that it will add extensions to Internet Explorer and Mozilla Firefox browsers and then start showing commercial advertisements. There is a possibility that Google Chrome users will also see ads if Match Pal slithers onto their computers because this program might have many different versions. You have to remove Match Pal from the system if you ever detect it because this program will act in an annoying way. In addition, you might not be able to surf the Internet freely. Other similar applications might also slither onto your computer, so you should be cautious. You should not keep Match Pal installed on your computer because this program shows pop-ups, coupons, and in-text ads. Of course, there is a possibility that you will notice other kinds of commercials on your screen as well. We do not recommend clicking on them if you do not want to encounter malicious software. Keep in mind that Match Pal might not show ads; however, it is still very important that you remove it. What’s more, it has been also found out that this program might record details about your online behavior in order to show you interesting advertisements. Of course, the program is not interested in your personal details; however, if you feel uncomfortable knowing that it tracks you, you should get rid of Match Pal as soon as possible. It does not seem that it is possible to download Match Pal from its official website mymatchpal.com; thus, the security experts at pcthreat.com believe that this program might travel bundled with various applications, especially freeware and shareware. It is very likely that you have been informed that Match Pal is going to be installed on your PC; however, you simply have not noticed that. Computer users who feel that they cannot protect their systems from malicious software should install an antimalware tool on the system. We recommend installing SpyHunter because it can protect your system from different kinds of infections. If you want to remove Match Pal, you should acquire a trustworthy malware remover and scan the system. You can delete this program yourself as well. In order to help you, we have prepared the manual removal instructions. You will find them below the article. It is very important that you follow them step by step in order to erase Match Pal fully. Do not forget to scan your PC with an antimalware tool as well, because there is a possibility that your system contains other serious computer infections. Select the software which you want to erase. Quick & tested solution for Match Pal removal.